As off-site image reading becomes more of a necessity, rather than a convenience, expediting the process becomes a more important consideration. Interfacing with multiple hospitals' PACS can be time consuming and, depending on the implementation, problematic. 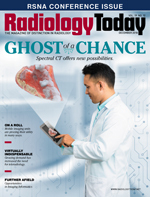 Radiologists who desire freedom of movement and smaller radiology groups are particularly affected by interface issues. To address mobility and interface difficulties, Singular Medical Technologies, Inc, has developed software that allows radiologists to read from any PACS without the need for an HL7 interface. The software, called the Radsoft Unify system, allows users to work directly from a hospital's PACS and dictation systems; they do not need their own. The software uses robotic process automation to pull metadata but not images from the hospital's PACS to populate a worklist. It can be cloud based or installed on a local server and is HIPAA compliant. Users connect through a virtual private network (VPN) and log in with a username and password. "The radiology group ties in to the existing PACS and dictation systems that the hospital already has," says Felix Garcia, the CEO of Singular Medical. "We customize the list according to the doctor's needs. If they want to see the patients' names, if they want to see their dates of birth, if they want to see the medical record numbers, or if they don't want to see any of that information, we can customize the list accordingly to what they need." Garcia says working on a hospital's PACS, rather than downloading studies from a PACS, reduces lag time and jumps while providing access to all of the tools that the PACS system has. He adds that Singular Medical surveyed radiologists while developing the Radsoft Unify platform and included features that radiologists asked for including a chat feature, a new file transfer method, the ability to anonymize and transfer studies from one site to another, the ability to share DICOM header information across networks, and the ability to select and share bookmarks from a browser that opens in the worklist. In addition, calendar and e-mail features are embedded in the worklist, and radiologists can choose to split the worklist in two, with HIPAA-related information on one side and radiology tools on the other. To address the growing demand for off-site reading, the Radsoft Unify platform can tie in with Singular Medical's portable workstation, the Radforce-GO system. Garcia says the goal was to develop a fully operational portable reading workstation that allows radiologists to read from anywhere. To that end, the 55-lb, sand-proof, water-resistant, shock-proof workstation can be packed up and transported on an airplane. It comes with a pelican case on rollers. Garcia says it can be set up in five minutes. The workstation allows users to create a worklist that is drawn from multiple PACS systems. No information is stored on the device. All of the work is done on the hospitals' PACS. "We can give them access to up to four different PACS systems separately," Garcia says. "Not consecutively, but, if they read for more than one facility, they can select the facility that they want to read from upon boot-up, and that gives them access to that location for the day or for the shift." The FDA-approved workstation has a 4-megapixel screen that adjusts to lighting conditions and self-calibrates in 10 minutes. The screens are from Barco and Eizo. Users can request reports on diagnostic screens or the operating system to monitor the device and make sure it is operating correctly. It can also be tracked electronically if it is lost. The workstation can connect to a PACS through either a wired or wireless VPN connection. "You can actually use a wireless cell phone card that is included as well," Garcia says. "So you can actually connect to your cell phone tower, provided it's of sufficient speed, and you can run your VPN software through it as if it were a regular Wi-Fi adapter." Garcia believes the Radsoft Unify and Radforce-GO platform's interoperability will provide new options for radiology groups. He says HL7 interfaces aren't the only way to facilitate secure data transfer. "Robotics are getting so good on the software side, now, that we can pretty much extract any data we want from anywhere," Garcia says. "There are options for groups that don't have access to databases that require HL7 access or work with hospitals that are not willing to share that security level." The Radsoft Unify software will debut at RSNA and be available in January 2019.